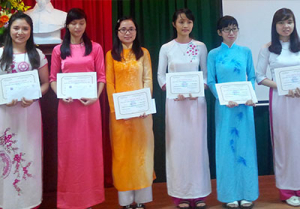 Forty students at the Huế University of Medicine and Pharmacy Faculty of Nursing received CHEER Scholarship Awards at a ceremony on October 22, 2015. Present at the ceremony were Professor Võ Tâm, Vice President of Academic Affairs, Huế University of Medicine and Pharmacy (HUMP), Professor Lê Văn An, Dean of HUMP Faculty of Nursing, Dr. Nguyễn Thị Anh Phương, Deputy Head of Office of Science and International Relations and faculty members. 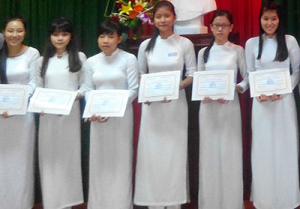 Professors Võ Tâm and Lê Văn An reminded the students of the need for nurses in present day Việt Nam. 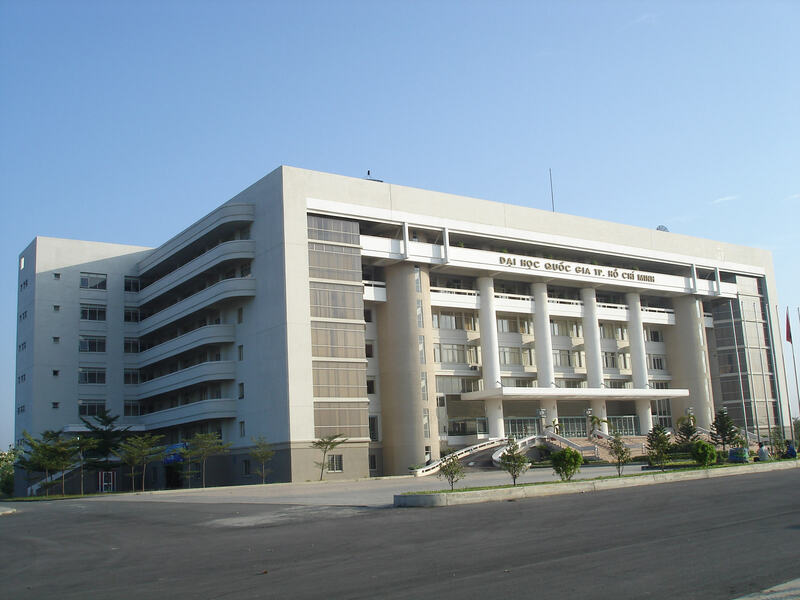 HUMP is one of the most important universities in the country to prepare doctors and nurses for the central region of Việt Nam. They emphasized the importance of the moral responsibility of the nurses. They called on the students to carry on the spirit of the school and the trust that patients place in the medical doctors and nurses from HUMP. 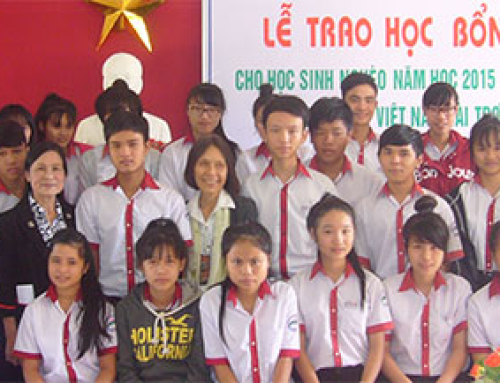 Dr. Đoàn Thi Nam-Hậu greeted the students on behalf of CHEER for Viet Nam beginning with the history of CHEER’s passion during the past two decades in Viet Nam, to work in the areas of education and health, to lift students from poor families to a brighter future, to encourage students to dare to dream for a better future for themselves and their families, and to contribute to their communities. She also reminded students to continue to develop their humanistic and ethical potential in the transitional phase of the country toward a market economy. “With these scholarship awards members of the CHEER community want to accompany you on your journey to reach your dreams,” Nam-Hậu concluded. 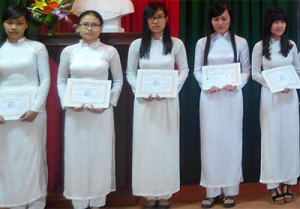 “CHEER for Viet Nam’s Nursing Scholarship Award is the most significant gift to each and every one of us as nursing students. You have followed us attentively in the last few years by providing scholarships to students who, despite their adversities, achieved good academic standing. You have helped us to overcome our difficulties and to be able to continue our studies, and to alleviate the burdens on our parents and families. 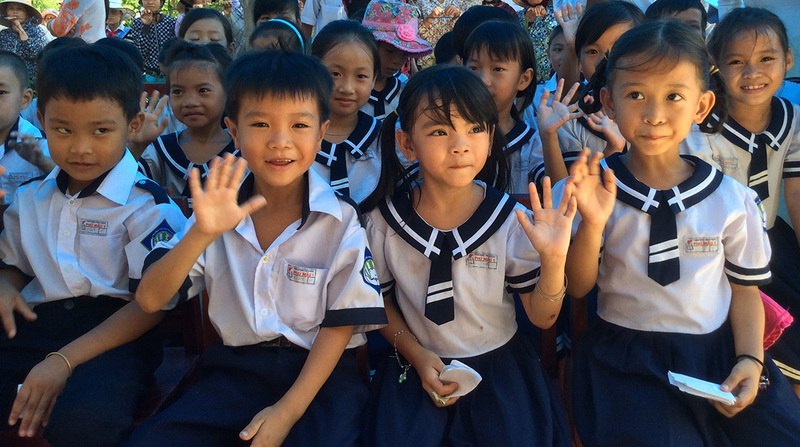 On the other hand, CHEER for Viet Nam’s scholarships have been the spiritual source that energizes us to study to become useful contributors to our society, and later to enable us to help those who are destitute. Sixty students from first to fourth year levels applied for the scholarships. Forty were awarded after a rigorous application process. Two faculty members at HUMP Faculty of Nursing from each level submit their recommendations to CHEER after reviewing the applications. Two members of CHEER reviewed all the recommendations, applications and essays and made the final decision. All of the recipients are from poor families. The majority of them live in rural, mountainous areas in central of Việt Nam, from Thanh Hoá, Nghệ An, Hà Tĩnh, Quảng Bình, Quang Trị and as far away as Daklak in the central highland. 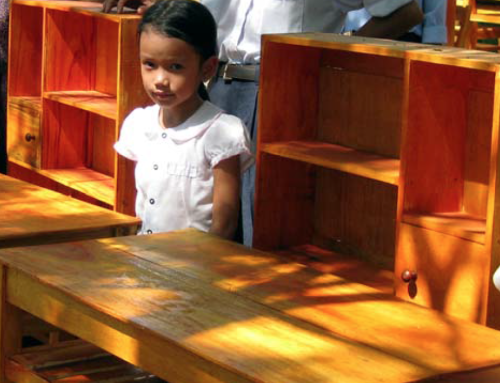 Despite their parents’ hardships and their own challenges they have consistently excelled in their studies. Here are excerpts of some of their essays. One can have several dreams in one’s life time. There are dreams unfulfilled, there are dreams broken. But no one taxes dreams, no one can prohibit anyone to not have the right to dream. Thanks to dreams several climb out of poverty. There are sudden dreams in certain periods. There are dreams in one’s childhood. Young people will dream of having money, happiness, profession, celebrity. I for one have had several dreams, some fulfilled others shattered. I want to talk about one dream–to achieve this dream I have to make so much effort. Learning more about life and the less fortunate’s and their adversities, I want to do so much but perhaps I am not ready yet. If I had one more dream in life, I wished I could help lots of people and lots of human conditions in needs of support in our country as well as around the world. When I read about situations in one of the regions where the health care was poor, not developed and backward, where people did not yet know how to care for their health, where children were not well cared for, as a future nurse I always wished to do something. I wish to be well prepared to participate in a health care organization to bring health care to the people.